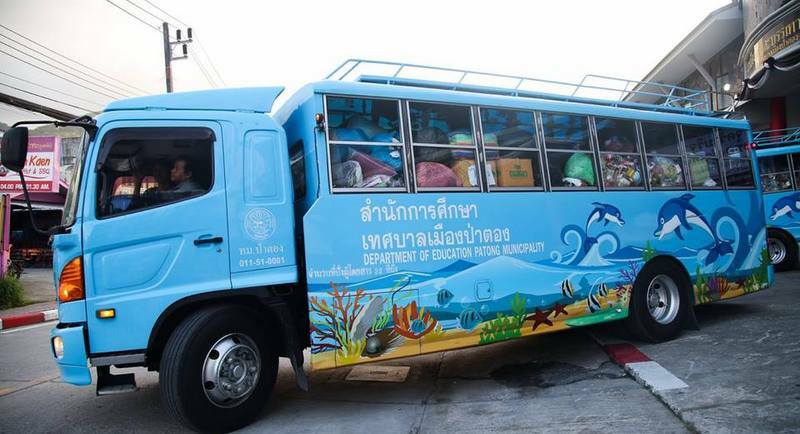 PHUKET: A convoy of 13 trucks loaded with food, drinking water and other flood-relief supplies rolled out from Patong Municipality yesterday (Jan 10), bound for the Southern Thailand province of Nakhon Sri Thammarat, much of which has been declared disaster areas in the wake of the floods. The bulk of the supplies deployed yesterday were gathered from donations made in Patong and Rawai. 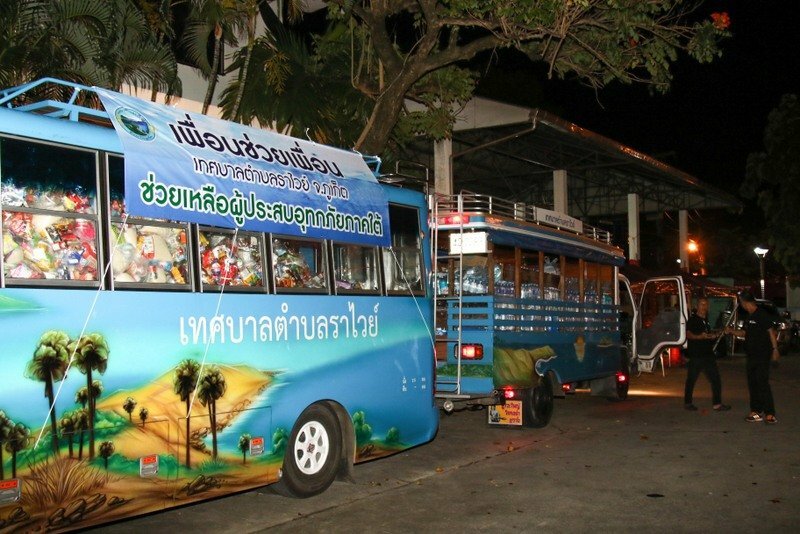 The 13 trucks cleared the Phuket Checkpoint at Tha Chatchai, at the northern tip of the island, yesterday morning, Patong Mayor Chalermluck Kebsup said. 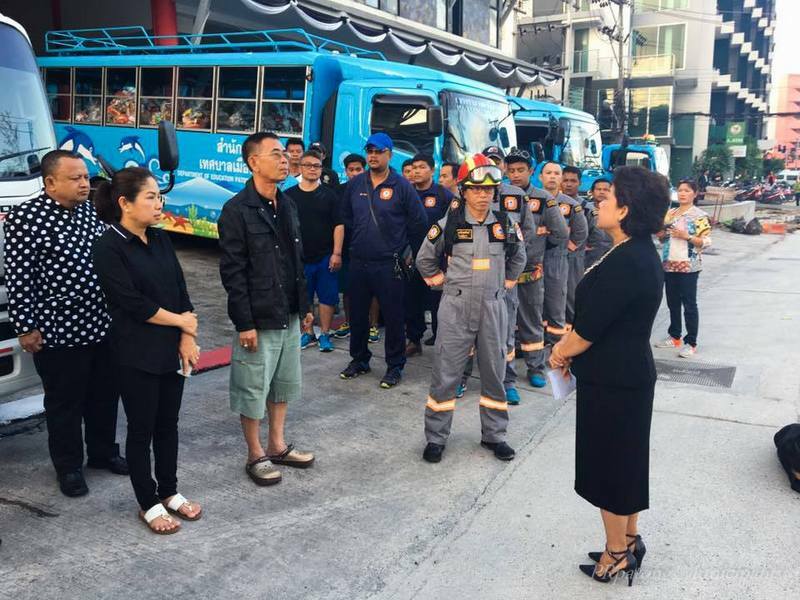 “The trucks arrived at Nakhon Si Thammarat yesterday afternoon,” she confirmed. “Thank you to everyone for coming together to help the victims of the devastating floods,” Mayor Chalermluck said. 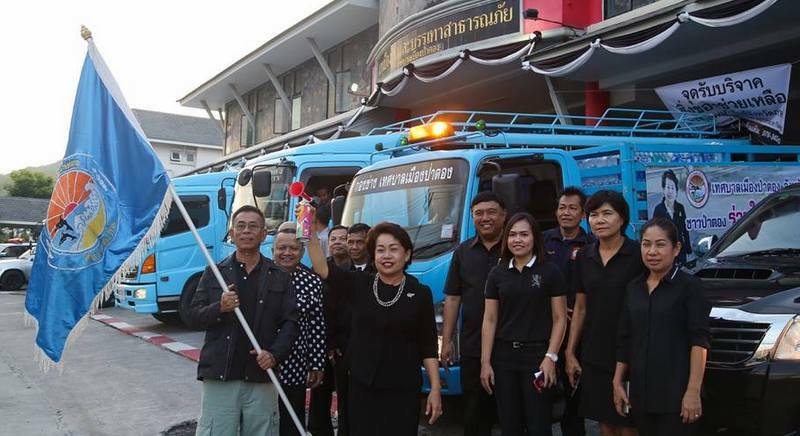 Rawai Municipality provided enough supplies to fill three trucks, Mayor Chalermluck added. “Two of the trucks were loaded with donated food items and household items to help flood victims, and one truck was dedicated to carrying only drinking water,” she added.